"With the European elections coming up, the Socratic Design Academy is initiating a video series to contribute to creating a good narrative for Europe." Bruce Schneier - a "security guru"
MW: Yes. There are so many questions that need to be addressed. Who pays for delivery and development and, critically, any consequences? How is the global south enfranchised - they are least responsible, most vulnerable and, given current geopolitical frameworks, unlikely to have a strong say. What does climate engineering mean for our relationship with nature: will anything ever be “natural” again (whatever that is)? All these questions must be considered against the situation where we continue to emit CO2 and extant risks from climate change increase. That climate engineering is sub-optimal to a pristine, sustainably managed planet is hard to argue against. But we don’t live in such a world. And when considered against a +3°C world, I’d suggest the opposite is highly likely to be true. 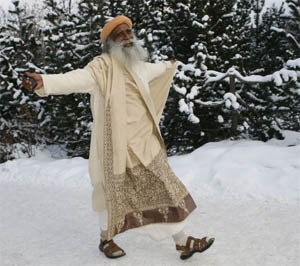 Jaggi Vasudev, Sadhguru and Founder, Isha Foundation, India, captured in the snow at the Annual Meeting 2007 of the World Economic Forum in Davos, Switzerland. Can a capitalist and a yogi find common ground? Sadhguru and Jonathan Coslet, CIO of TPG Holdings, discuss intelligence, the future of the market economy, leadership and finding ones purpose. With the European elections coming up, the Socratic Design Academy is initiating a video series to contribute to creating a good narrative for Europe. 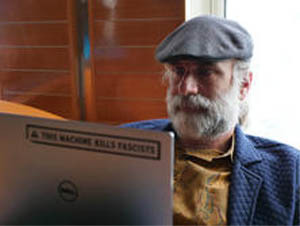 yBruce Schneier - a "security guru"
Bruce Schneier: "I am a public-interest technologist, working at the intersection of security, technology, and people. I've been writing about security issues on my blog since 2004, and in my monthly newsletter since 1998. 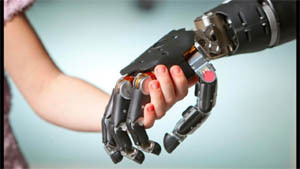 I'm a Special Advisor to IBM Security, a fellow and lecturer at Harvard's Kennedy School, and a board member of EFF -.Electronic Frontier Foundation,"
The worldwide demand for Battery / Accu systems all using Li-ion technology or technology based on the same resources, we foresee issues to mine for these resources. We move from oil and gas to lithium mining. These systems are not completely circular and sustainable. Therefore we developed the Bio Based Battery and the CO2 2Energy system for stationary applications. The rapidly increasing amount of solar panels, wind turbines and other form off sustainable electricity generation is increasing. The current electricity infrastructure is not capable of handling all these different inputs on various times. The electricity networks are stressed to the limits and some times over the limit with black outs as a result. Local electricity buffering and storage is needed to level out fluctuations on the network. But also there is a huge demand for local electricity storage at houses, factories, sportclubs, etc. It is now the time to make the next step for the energy buffering and the circular economy without abusing the earth. The revolutionary SuWoTec Non Corrosive Electrodes play a vital role in the Efficient Energy Buffering Proces. Thats why we are developing the Bio Based Battery. Scientists have used artificial intelligence to predict how cancers will progress and evolve  so that doctors can design the most effective treatment for each patientThey developed a new technique called REVOLVER (Repeated evolution of cancer), which picks out patterns in DNA mutation within cancers and uses the information to forecast future genetic changes. The ever-changing nature of tumours is one of the biggest challenges in treating cancer  with cancers often evolving to a drug-resistant form. But a team led by scientists at The Institute of Cancer Research, London, and the University of Edinburgh were able to use their analysis of genetic changes to predict cancers next move  allowing doctors to stay one step ahead. 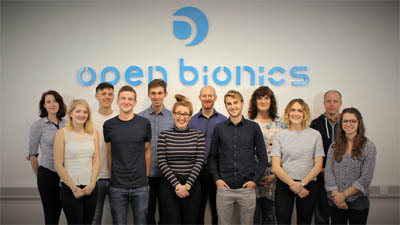 Open Bionics is a Private, Limited UK company. 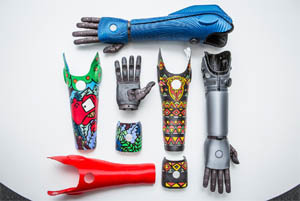 Open Bionics are 3D printing super awesome low-cost robotic prosthetics that are open source. 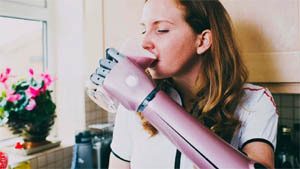 Hero Arm is the worlds first medically certified 3D-printed bionic arm. Constitutes the first comprehensive assessment of the Hindu Kush Himalaya region, providing an authoritative overview of the region. Combines the current state of knowledge of the Hindu Kush Himalaya region in one volume. Offers Open Access to a set of evidence-based and actionable policy solutions and recommendations and nine mountain priorities consistent with the Sustainable Development Goals. The most important places for learning - including learning about business - are our schools. They are educating tomorrows entrepreneurs. 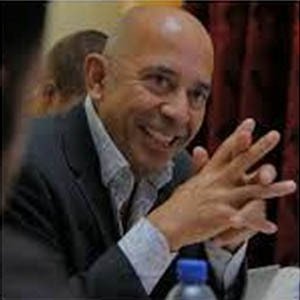 The Federal Ministry for Economic Affairs and Energy therefore encourages schools to create space and attention for business themes in classroom teaching. The aim is to lead school students towards business life as early as possible. 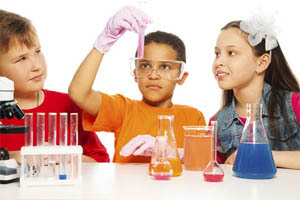 The website Entrepreneurial Spirit in Schools wishes to provide examples and encourage people to venture into business. It is still rare to find business studies taught at German schools. But it is important for school students to learn how to think and act like an entrepreneur, no matter whether they go into business or not in later life. To help teachers integrate business theory and practice into their classes in a stimulating way, the website offers information on projects and contact points, materials, and online training courses. Also, the Economic Affairs Ministry has developed practical teaching aids. The information and materials provide ideas for classroom teaching and entrepreneurship projects. For example, the website sets up contacts with business people, e.g. in business plan games like business@school or school bankers. Another practical classroom project could be to have school students set up companies and develop business ideas. School students themselves can use the Entrepreneurial Spirit in Schools platform to work on business topics. The site has a dedicated section for young people. It offers specially prepared information as well as, for example, the online entrepreneurship game Be Boss and business projects for school students to help them approach business topics in an entertaining way. A special highlight here is the Schüler-Business-Award, in which prizes go to the best business projects by school students in Germany, Austria, Luxembourg, Liechtenstein and Switzerland. JUNIOR, business@school an initiative of The Boston Consulting Group, Jugend gründet, Deutscher Gründerpreis für Schüler, Schul/Banker, TheoPrax, Deutsche Kinder- und Jugendstiftung (Fachnetzwerk Schülerfirmen der DKJS, Lab2Venture), NEBS, Ifex, Ideen machen Schule, Achievers International, NFTE, Bildungswerk der Bayerischen Wirtschaft e. V., Wissensfabrik, cooperatives of school students. The members of this group of initiatives aim to strengthen the culture of entrepreneurship in Germany and safeguard it for the future. To this end, they foster and develop entrepreneurial thinking and acting. Young people are particularly receptive to new ideas, and want to make their ideas happen. Entrepreneurial Spirit in Schools provides a platform for this. to try out their own business ideas. The Entrepreneurial Spirit in Schools initiative does not aim to make as many school students as possible feel that they ought to set up their own company in later life. Rather, the aim is to foster creativity, responsibility and social skills. Learning by doing. Elevation is a short documentary by online magazine Dezeen about how drones will transform cities  revolutionising how people travel, how goods are delivered and how buildings look and are constructed. Aerial highways will relieve pressure on roads as deliveries and human transportation take to the skies in unmanned electric vehicles. Architecture will change dramatically as the ground floor entrance is replaced by rooftop landing, parking and recharging zones and deliveries arrive via specially constructed portals on the sides of buildings. This vision of the future is set out in the 18-minute film, which features interviews with architects and industry experts including Norman Foster, Paul Priestman, Liam Young and Anab Jain. Yet as well as painting a picture of a utopian drone-filled future, Elevation also hints at more sinister uses of the technology, exploring potential threats to our privacy and safety. Madeline Ashby is a futurist and science fiction writer based in Toronto, Canada. Alongside supporting Changeist projects. 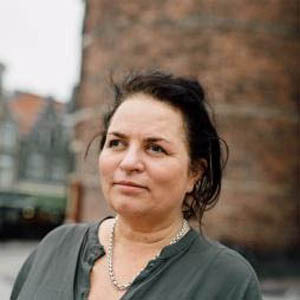 She has worked with organizations like the Institute for the Future, SciFutures, Nesta, Data & Society, the Atlantic Council, Strategic Innovation Lab, and others. She has conducted workshops with groups like Engineers Without Borders Canada, United Way Canada, and the Ontario Media Development Corporation. She also lectures on science fiction and design thinking at OCAD University in Toronto, where she graduated with a Masters of Design from the Strategic Foresight & Innovation programme, and in creativity and collaboration at Ryerson University. Madeline is also a guest lecturer in the Designing the Future programme at the Dubai Future Academy. 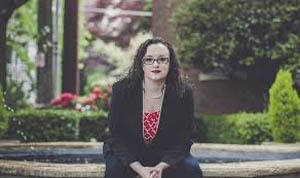 She is also the author of the Machine Dynasty series, and the novel Company Town from Tor Books, which was runner up for the Canada Reads prize in 2017. Her fiction has been translated into Japanese and German. Her essays have appeared at BoingBoing, io9, WorldChanging, Creators Project, Arcfinity, MISC Magazine, and FutureNow. Her fiction has appeared in Slate, MIT Tech Review, and elsewhere. She is the author of the Machine Dynasty novels. Her novel Company Town was a Canada Reads finalist. Much of what I do is develop what Brian David Johnson at Intel calls science fiction prototypes. Often, someone gets in touch with me because they want to talk in a creative but structured way about the future of a given area. It might be intelligent systems, or smart cities, or immigration, or a world without antibiotics. (Ive written stories about all of those, for my clients. )The end goal might be a story that accompanies an internal communication, or an immersive way to pitch a new idea, or a story that can create a conversation at a workshop or other event. Sometimes Im asked to write something optimistic. Sometimes Im asked to describe the worst possible outcome. Sometimes people love my stories. Other times, they leave the room in disgust. (This actually happened, once. Its my proudest moment.) Either way, I usually meet great people, and I go cool places, and I see technologies in development long before they hit the mainstream. I do this in between writing science fiction novels.